Enjoy Julius St. Clair Books? Tell us Why and Win a Free Book! 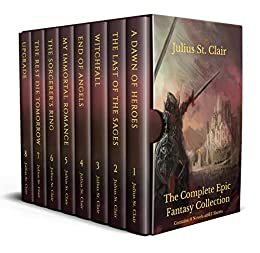 From #1 best-selling epic fantasy author, Julius St. Clair, comes a collection of fantasy novels that started a variety of series: THE EPIC FANTASY COLLECTION (BOOKS 1-8). This collection is over 2,000 pages long! In a DAWN OF HEROES, a hot-headed warrior loses everything, but after being allowed to make a wish, sets out on a journey of revenge. In THE LAST OF THE SAGES, a slacker is forced to join the Sentinel Academy – a military school set within a dying Kingdom in which ordinary youth train to become supernatural warriors. In WITCHFALL, a human, powerless girl seeks to overthrow the tyrannical royal family in a world full of witches. In END OF ANGELS, a newly formed angel seeks hope just as the war in Heaven breaks out. In MY IMMORTAL ROMANCE, a teenage siren seeks to undo her curse in hilarious fashion. In the SORCERER’S RING, Remi learns that she is a living weapon and seeks to find purpose in a dangerous world. In THE REST DIE TOMORROW, a narcissistic man who never loses, learns that he will die in eight days from supernatural forces, and finally, in UPGRADE, androids seek to live amongst humans in a dystopian world where the line becomes more and more blurred every day. 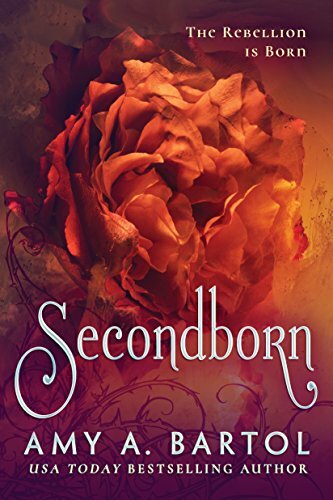 This collection has it all: adventure, action, dragons, betrayal, magic, kingdoms, princesses, royalty, witches, androids, dystopian worlds, heavenly realms, mystery, suspense, coming of age stories and epic fantasy.